Home|Clean Rivers, Press Releases, Source to Sea Cleanup, Water Quality|Cleanup is Done. Now Real Work Begins. 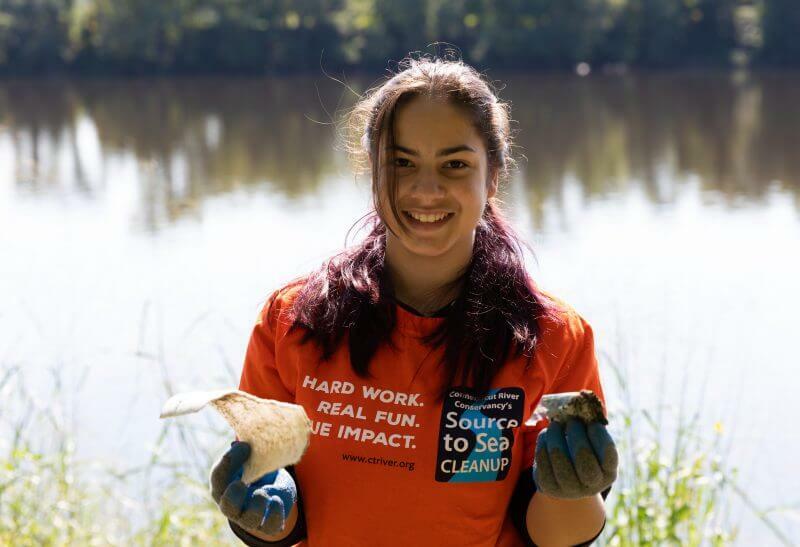 This past Friday and Saturday, an estimated 3,000 volunteers gathered at more than 100 locations along the Connecticut River and tributary streams in NH, VT, MA and CT for Connecticut River Conservancy’s (CRC) 22nd annual Source to Sea Cleanup. Volunteers outfitted with work gloves and trash bags got dirty and some got wet in their effort to remove approximately 50 tons of trash from in and along our rivers. Now focus shifts to preventing trash in the first place. “Source to Sea Cleanup volunteers’ hard work and dedication is inspiring and makes a real difference for our rivers,” says Stacey Lennard, CRC’s Cleanup Coordinator. “But our work isn’t done until we put ourselves out of the river clean-up business.” While the two-day Cleanup event is over for this year, CRC continues their work on trash pollution year-round. This year, volunteers and concerned citizens are asked to join this advocacy work in a unique ‘show & tell’ effort. 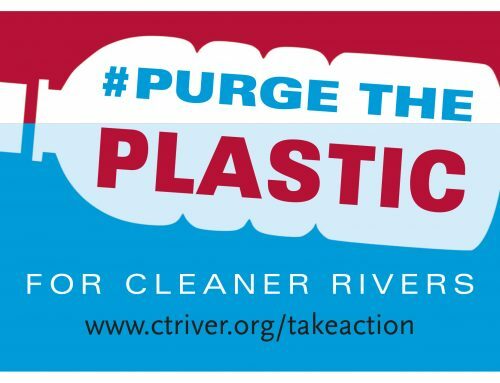 Help show the problem of river trash by submitting photos to CRC’s photo contest, share photos online using #TiredOfTires and #PurgeThePlastic, tag local elected officials and the companies whose logos appear on the trash. 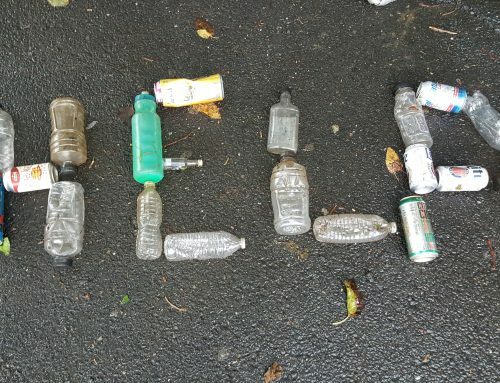 Sign CRC’s petition to tell legislators and corporate decision-makers that it’s time they do their part to implement existing solutions to reduce trash. Details at www.ctriver.org/takeaction. CRC is will use the petition and photos to work with river states on overhauling the ways we use plastic and establishing extended producer responsibility (EPR) systems to hold producers responsible for free and easy disposal of tires. This will reduce the incentive for illegal tire dumping. CRC supports phasing out and finding replacements for plastic and Styrofoam products—especially Styrofoam dock supports. Final trash totals are still being tallied. 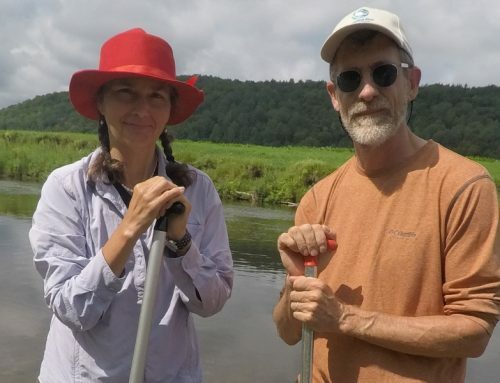 Source to Sea Cleanup volunteers cleaned rivers from Stratford, NH near the Canadian border all the way to the mouth of the Connecticut River near the Long Island Sound. Volunteers turned out from faith communities, watershed groups, schools, community and youth organizations, and at least 25 businesses and employee service groups. In addition to the tons of small litter picked up this year by volunteers, CRC uses the Source to Sea Cleanup as an opportunity to clean up large trash dump sites and remove large debris items from our rivers. 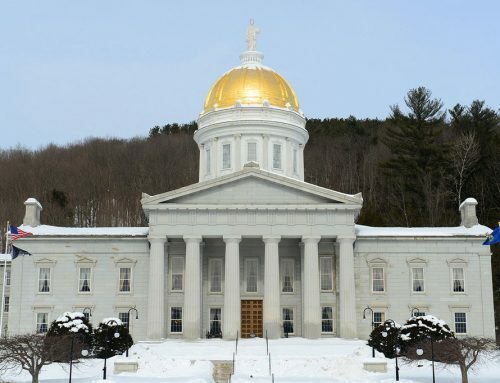 Nearly 1,000 tires were removed from tire dumps in Greenfield, MA and Brattleboro, VT. Junk cars were removed from Murphy Park in Greenfield, MA. 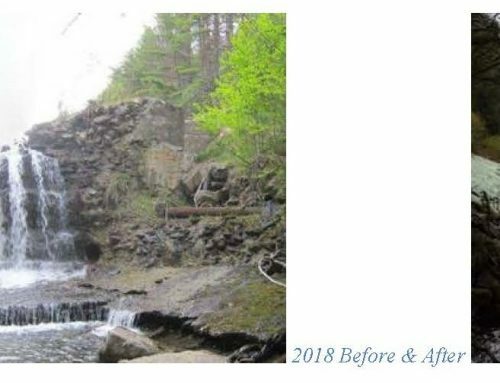 A large concrete culvert was removed from Babcock Brook in Hartland, VT. And a 1,500 gallon fuel tank was removed from the Connecticut River in Weathersfield, VT.